If you can provide Tom with information on this Eisenhower medal he would appreciate it. Just click on the comments button. I have a Harry S. Truman card, i don't know much about it, It was passed down to me from my great grandfather along with other items and decided to contact you about it. If you can help Michael with a valuation please click on the comment button. Thanks! 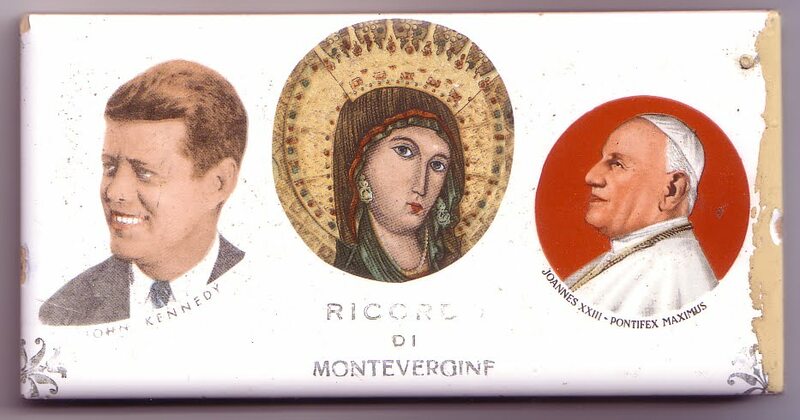 Just going through some old boxes and have found a commemorative ceramic tile for John Kennedy’s meeting with the Pope John XXlll. I think this meeting did not take place as John XXlll died on June 2nd 1963. The President did go on to meet Paul Xl early in July of the same year. The tile measures 150mm x 75mm and is in reasonable condition, it has never been mounted. It has a small chip on the top left corner and some sort of paint on the right edge which I am sure could be removed. If you can help Chris with information on the value of this item please click on the comment button. Thanks!